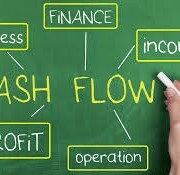 For new businesses possible the hardest lesson surrounds cash flow. It an be a real juggling act in the beginning of a new business to manage incomings and outgoings. It is also common for larger businesses to experience cash flow issue when it comes to expansion. The best way to approach these situations is to sit down with us to discuss your needs and how we can help map out your cash flow issues moving forward. The importance is to ask for help early and not try to struggle through it and end up with administrators being appointed. Contact us today to discuss these issues.